The year Chaz spent as Crimewriter in Residence on Sunderland's Sculpture Project was unexpected in many ways; and it continues to bring new surprises. 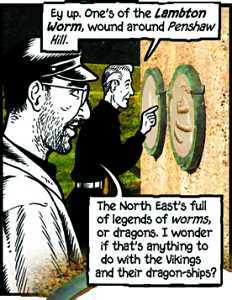 He never, for example, expected to find himself in a comic strip: yet here he is, drawn by and conversing with Bryan Talbot in Alice in Sunderland . Sunderland! Thirteen hundred years ago it was the greatest centre of learning in the whole of Christendom and the very cradle of English consciousness. In the time of Lewis Carroll it was the greatest shipbuilding port in the world. To this city that gave the world the electric light bulb, the stars and stripes, the millennium, the Liberty Ships and the greatest British dragon legend came Carroll in the years preceding his most famous book, Alice in Wonderland , and here are buried the roots of his surreal masterpiece. Enter the famous Edwardian palace of varieties, The Sunderland Empire, for a unique experience: an entertaining and epic meditation on myth, history and storytelling and decide for yourself - does Sunderland really exist? From Bryan Talbot, the acclaimed creator of The Adventures of Luther Arkwright and The Tale of One Bad Rat , comes Alice in Sunderland , a graphic novel unlike any other. 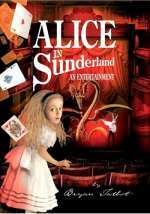 Funny and poignant, thought-provoking and entertaining, traditional and experimental, whimsical and polemical, Alice in Sunderland is a heady cocktail of fact and fiction, a sumptuous and multi-layered journey that will leave you wondering about the magic that's waiting to be unlocked in the place where you live. 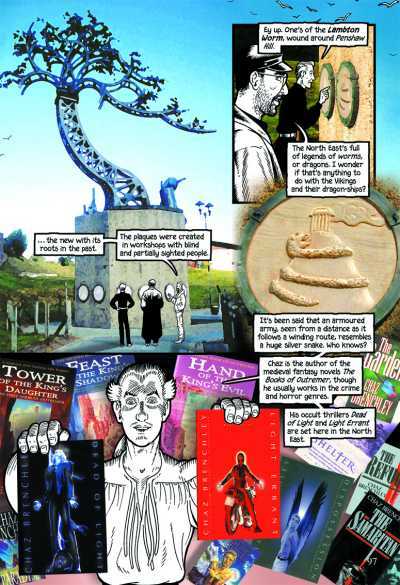 The book includes a multi-page sequence in which Chaz and sculptor Colin Wilbourn walk the Pilgrim, one of the figures representing the author, through the sequence of sculptures, and talk about the project, the story of the area, prose and poetry and much more. It is based on an actual walk in which the conversation was recorded, so it's the next best thing to being guided through the sculptures by Chaz himself. The project's all about tying past and present together, linking what's new with what was here before. More about the Sculpture Project, or return to the home page. Alice in Sunderland © Bryan Talbot.